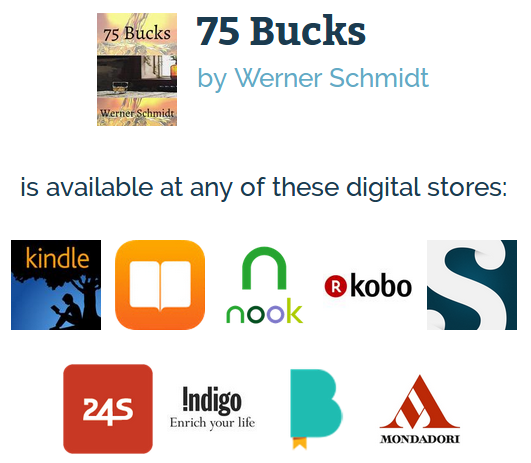 More than 7,500 copies downloaded! Waldo Leroux walks through his life to meet his late mother, Anita, and to make sense of her life story. Anita had one great weakness, which tainted Waldo’s life irrevocably, from as early as his eighth year. Walk with Waldo on his emotional journey: Anita’s dramatic last days. Twenty-four years together. Recollections of others who shared his mother’s weakness. A surprising meeting is described at the end, or is it maybe a beginning for Waldo …? 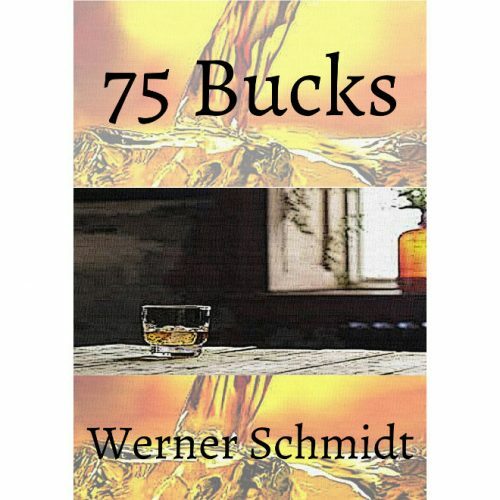 75 Bucks vividly displays gripping fragments of a life journey, as narrated by the son of a woman. A beautiful, talented woman, with one major shortcoming. Graphic, self-searching, emotionally laden, humorous at times. The narrator walks through his own life to commence his journey of healing. A death, a life, and interesting meetings with other alcoholics and liquor-affected people, open up a new world to the reader. A story of death, life and people, with a shot of whisky. You are invited to be absorbed by fragments of a life journey, as narrated by Waldo Leroux, the son of a woman. Revealed as a beautiful and talented architect, artist, wife, and a mother of two. In her search for peace?, love?, she was broken on treacherous rocks, just below the surface of a golden yellow ocean, during three turbulent decades. The story commences with a vivid, emotional recollection of Waldo’s mother’s death on December 27, 1999, and the months leading up to, and immediately after that day. The clock is turned back to allow Waldo to undertake a self-searching and questioning journey through his life, as his mother’s son. Walking through his schooling and professional years, he recalls crystal-clear memories of pain and pleasure, from as far back as his preschool days, which then dovetail with the first chapter. Lastly, the story walks through various interesting encounters and relationships with some alcoholics and other alcohol-affected people. He sees through the noise created by their moth-to-a-flame behavioural patterns, and discovers their ordinary, beautiful humanity. The book concludes: Waldo meets and bids his mother farewell, in a personal letter.